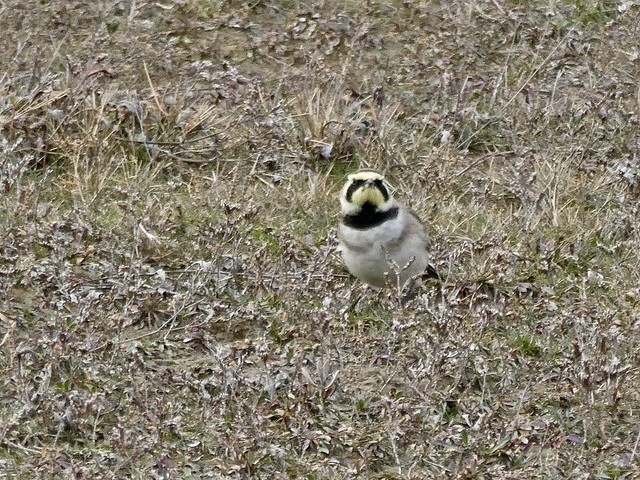 I have managed to fit in a few birding trips over the past couple of weeks and this week is no different. I had seen on east Anglian bird sightings that a number of winter visitors were about regularly so decided to see if I could see them, firstly at Sculthorpe Moor they had had 3 species of Redpoll for the past week, Couls Arctic Redpoll, Mealy Redpoll and Lesser Redpoll. I had not seen a Redpoll yet this year. So off I set........into the rising sun! 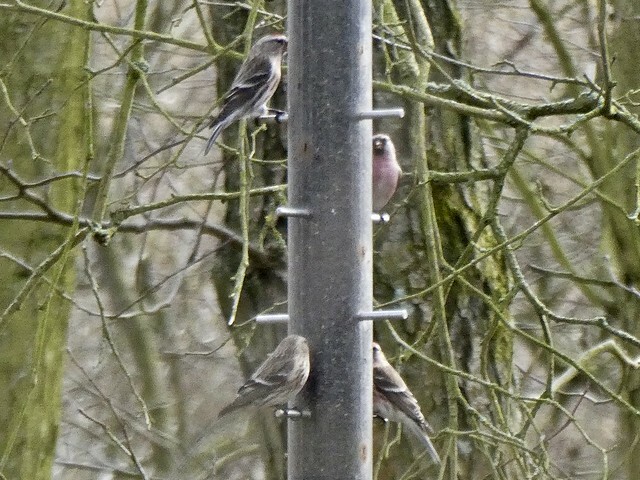 Arrived at Sculthorpe Moor reception and was asked "have you been here before and are you here to see the Redpoll?" Answered No & Yes. Told to walk down the boardwalk until I reach all the scopes and big lenses, not too many. 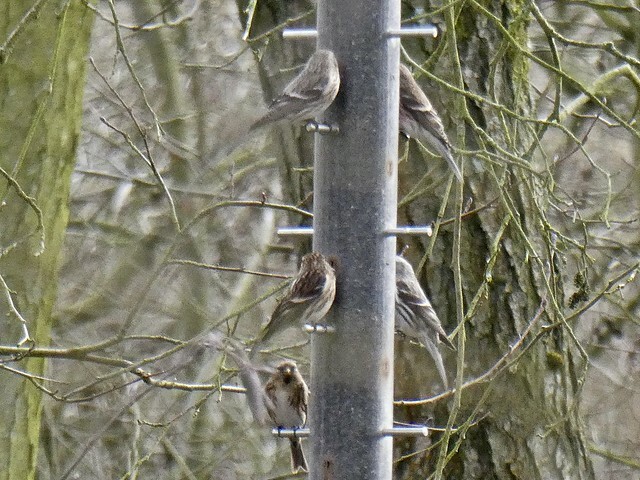 Well there they were, 3 different varieties of Redpoll on one extremely huge niger feeder. As always with wildlife they behave great when to look through your bins and I could see the differences on their fronts & markings, beautiful. Pointed camera at them and they all changed position so only showed their backs. In this shot only two species. Stayed for an hour watching them all until they all flew off, found out later they weren't seen again that day, so lucky timing. So jumped back in the car and then drove up to the north Norfolk coast at Holkham beach to find Shore Larks and Snow Buntings, was lucky with the larks but the buntings had flown away. Again just follow the beach path to find the scopes & big lens, luckily not too many. Such stunning little birds. Also saw Mistle Thrush, Great White Egret, Grey Heron, Marsh Harrier, Greylag & Pinkfooted Geese, Kestrel, 7 Spoonbills and many more birds on the fresh water side of the woods at Holkham. I think that will do for now, time to go and lay down after the time its taken to do all my posts today. Sounds like you've been having a busy time of it lately Tony! Is Holkham anywhere near Titchwell Marsh? I'm going there on a trip with my bird club this weekend. 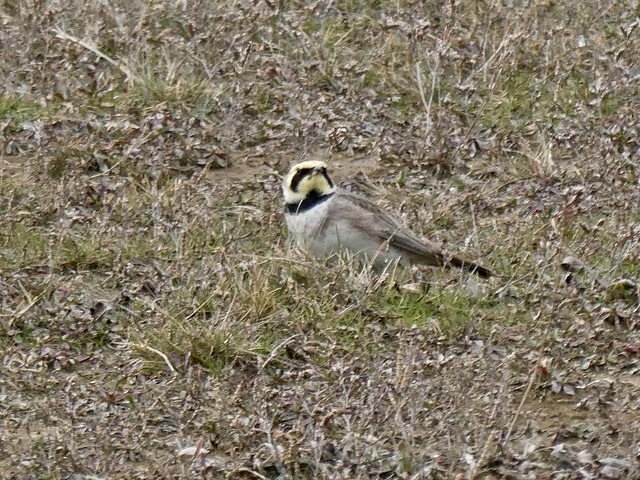 I've never seen a Shorelark and would love to try and find one. Love your photos - such a striking bird. Christine, Holkham is 12 mms about 25mins straight down the A149 from Titchwell. In Holkham opposite the Victoria pub is a road and car park where you can walk straight down the boardwalk onto the beach and turn right towards Wells Next Sea till you see a roped off area. 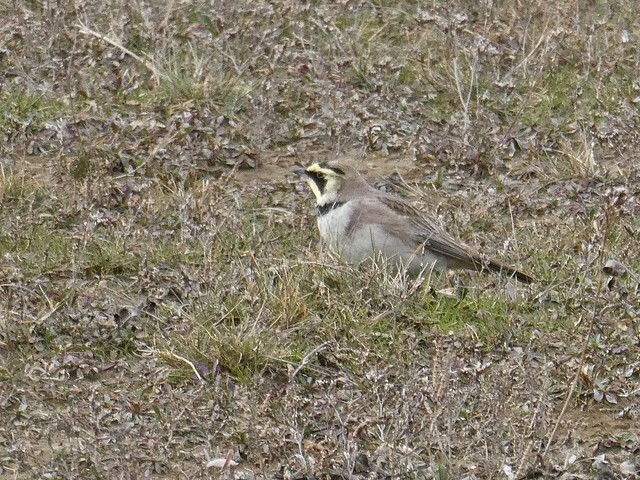 Th larks & buntings are usually in that area. 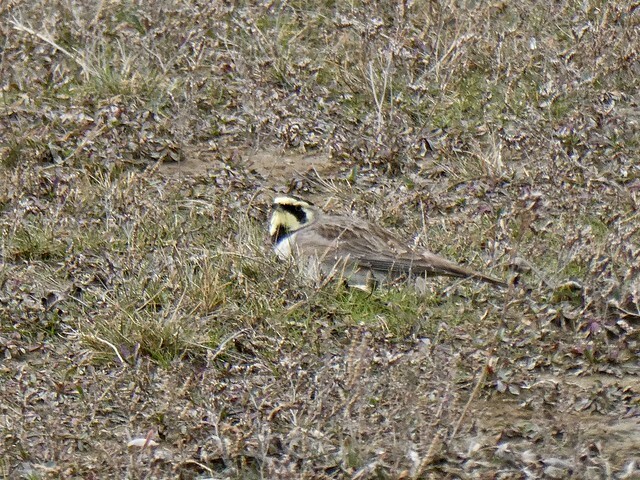 About 20+ larks. 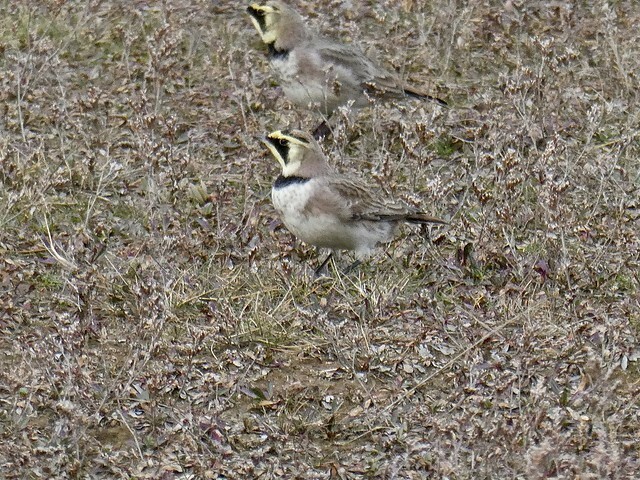 What a great day's sightings and photo captures Tony and interesting Norfolk trip by the sound of it; I've never seen those species - what striking looking birds the Shore-larks are. I've been to Titchwell Marsh and can thoroughly recommend it so good luck and hope you bring us back some more photo treats !